Pad size: 4.6" x 2.4" x 1"
Brighten up! 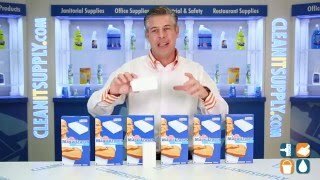 Magic eraser pads allow you to quickly and easily erase set-in dirt and grime. Water-activated micro-scrubbers reach into nooks and grooves to remove built-up grease and soap scum. Unique formula does wonders with scuff and tough crayon marks. Each Carton comes with 24 cleaning pads so you always have some on hand. 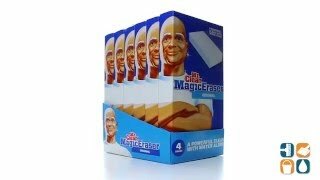 Buy your Mr. Clean Magic Eraser in bulk and save today!